There are a crazy number of food blogs out there. Choosing which blog to follow can be overwhelming. Going through all the mouth-watering photos and recipes would take time. So we went ahead and handpicked these food blogs that are a brilliant source of fitness and health inspiration. David and Luis’s blog will inspire you to eat and live better every day. This traveling family has never stuck to one type of cuisine. These two met while studying in Rome, and later decided to move to Stockholm to start a family. They share their vegetarian cooking experiments and world-class recipes on the blog. David is a food photographer and stylist who gives the recipes a final touch while Luis is the head chef. Camera & Lens: Canon 5D Mark III, 50mm f1.2 lens, 100 mm f2.8 macro lens. 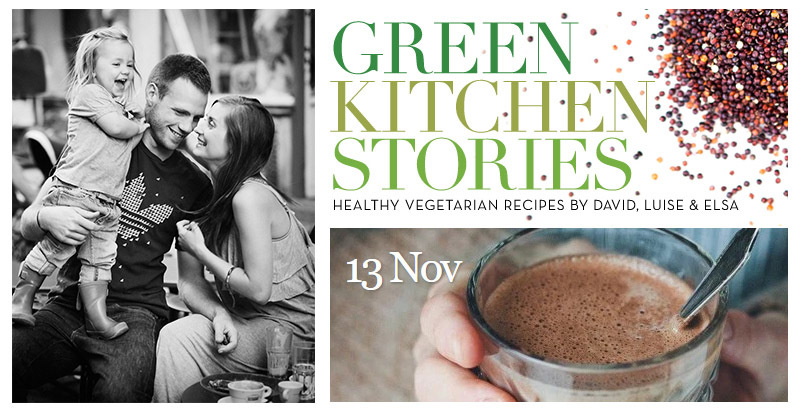 Cook Books: Green Kitchen Travels & Vegetarian Everyday. 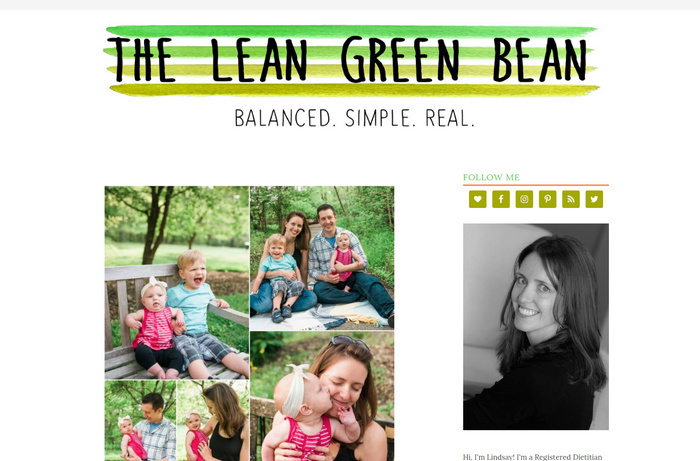 Laura is a health coach and a mother who founded this food blog. She started writing online to keep a track of her own weight and health. She succeeded as well by losing 60lbs of weight by following a healthy diet. Her blog features posts on fitness, food, and fashion. Laura shares healthy food recipes and also product reviews. Through her blog, she shares her personal accounts on living a healthy happy life. Her blog is a big hit for its down to earth approach on everything ranging from exercise to eating well on a budget. The posts are truly inspirational and she enjoys her food photography. Cook Books: Grains As Mains. This lifestyle blog’s fitness related content offers solutions that are not only good for the body but also for the whole being. 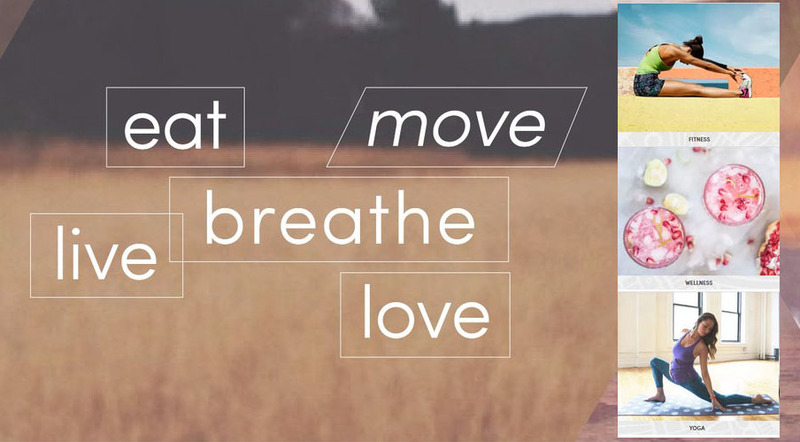 This wellness blog provides with meditation and yoga tips as well as advice for running, stretching, strength training and how to make it all fit in our busy schedules. The blog often features people who are successfully balancing physical, emotional and mental well-being to inspire the readers. There are over 500 recipes for those who want to eat healthy, put and lose weight. The advice by expert nutritionists, dietitians, full-time bloggers, writers will help you stay fit and inspire you to start your own blog. Social Media: 311K Instagram Followers, 3000K Facebook Fans, 60K Twitter Followers, 270K Pinterest Followers. The founder of Fitness on Toast, Faya Nilson is a certified personal trainer. Her blog does not only revolve around fitness, but you will also find some helpful tips on nutrition, health, fashion, and travel. She named her blog “Fitness on Toast” after she moved to the UK and realized just how much toast we eat. Faya’s blog is very inspirational and gives out some really good advice to its readers related to travel, health and lifestyle. She uses a great camera for food photography and it pays off well. Cook Books: Fit in 3. Lindsay the founder of this blog is a certified dietician from Ohio. Through her blog, she shares her passion and knowledge for health. She gives her reader realistic and actionable advice. Her blog features tips for new moms and moms to be, recipes, workout regimes including dumbbell, cardio, and treadmill. Social Media: 25k Facebook likes, 23.9k Instagram followers, 37k Pinterest followers, and 17.8k Twitter followers. Heidi Swanson launched her blog in 2003 with an intention to cook through her giant collection of recipes. But, the blog shifted focus to natural whole food that instantly caught the attention of magazines and publishers all around the world. The posts are neatly categorized by meal times and ingredients, which makes it very easy for readers to look for some recipe for dinner when all they have is an avocado in the pantry. Social Media: 201k Facebook likes, 77.5k Instagram followers, 67k Pinterest followers, 2901 Youtube subscribers, and 17.8k Twitter followers. Cook Books: Near & far, super natural every day and super natural cooking. 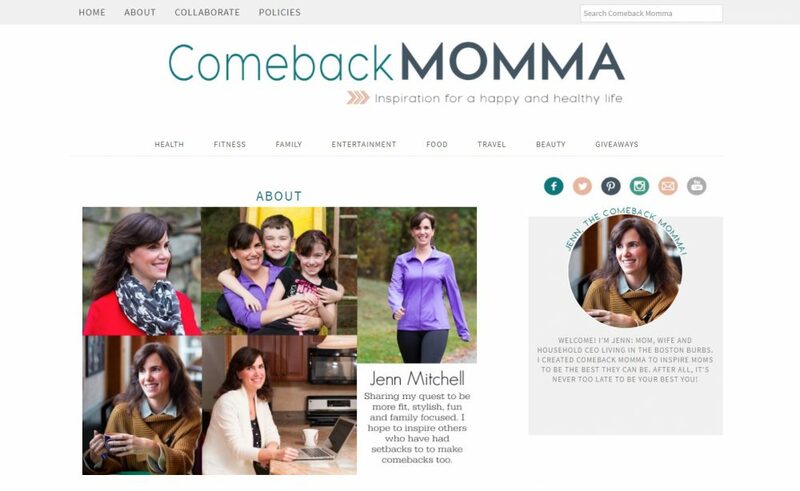 Jenn Mitchel, the founder of Comeback Momma struggled and came out of postpartum depression and lost 50 pounds of baby weight. Through her blog, Jenn shares her story. 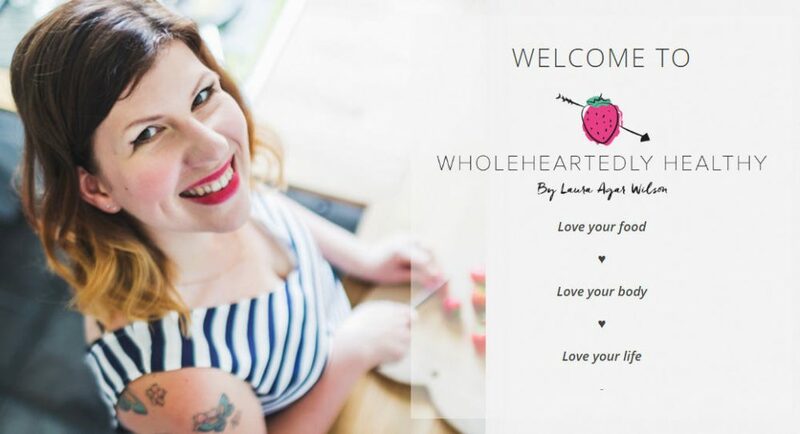 Her blog covers a mix of topics such as food inspiration and family. The posts are about workout routines for beginners, how to find the perfect gym and how to stick to new workout routines. Social Media: 6k Facebook likes, 22.9k Instagram followers, 9k Pinterest followers, 424Youtube subscribers, and 36.2k Twitter followers. After being diagnosed with a rare illness, Ella Woodward had to cut down on meat, sugar, dairy and processed food, replacing it all with plant-based diet. 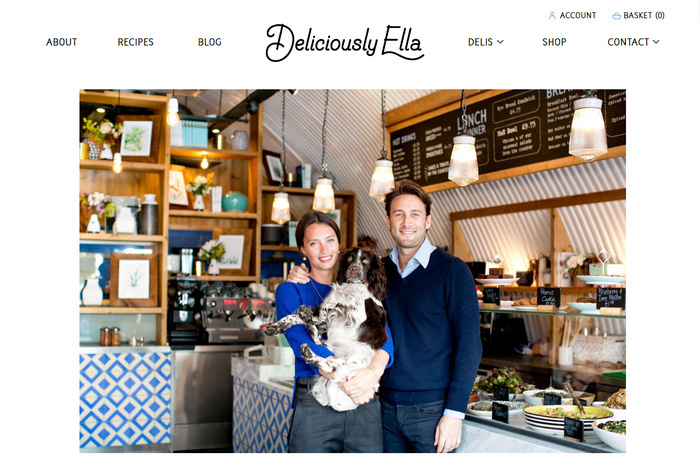 Deliciously Ella promotes healthy way of living to its readers. It promotes a positive attitude towards food. 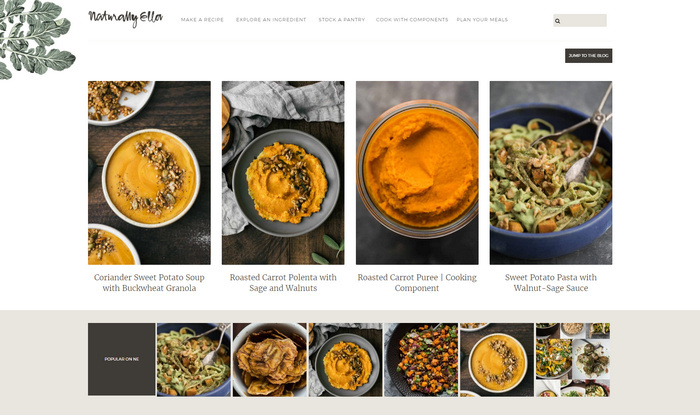 Ella encourages her readers to change their mindset about cooking which does not revolve around deprivation or diet, but includes pure and unprocessed ingredients that create something delicious to eat and do not compromise on health. Social Media: 283k Facebook likes, 1.1M Instagram followers, 409k Pinterest followers, 136kYoutube subscribers, and 187k Twitter followers. 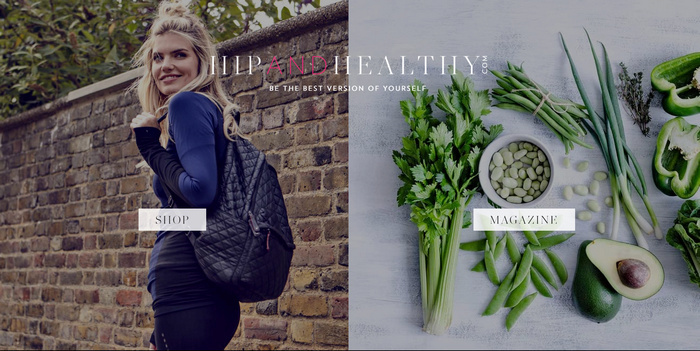 Known as a luxury and extravagance online magazine, Hip & Healthy covers a broad range of topics like well-being, health and fitness, beauty and travel. The blog was launched in 2011 with the tag line that goes “be the best version of you”. Since then it aims to inspire people from all walks of life to be the healthiest and happiest version of themselves. The blog is expanding rapidly and has a clothing store, e-cookbooks and a newsletter that is published weekly. The blog is updated regularly and features posts on fitness, health, food, beauty and travel. Social Media: 9k Facebook likes, 82.7k Instagram followers, 1771 Pinterest followers, and 22.5k Twitter followers. Founder Natasha has turned her passion for eating healthy into her life’s work. Her blog offers tips on healthy eating and is full of delicious recipes. She has two cookbooks and a food delivery service. Her blog is a source of inspiration for all her readers. Purely twin is a perfect blog for females as twin sisters Lori and Michelle share their story, which makes it possible for readers to relate with them. They share their passion for wellness, healthy living and fitness. The blog has a balanced approach to heart-pumping workout routines and loving food. It is very motivating for new mums or returning exercisers. Naturally Ella is a perfect website for those who are looking for a site related to good health tips and foods. The site is rich with natural cooking and vegetarian recipes. 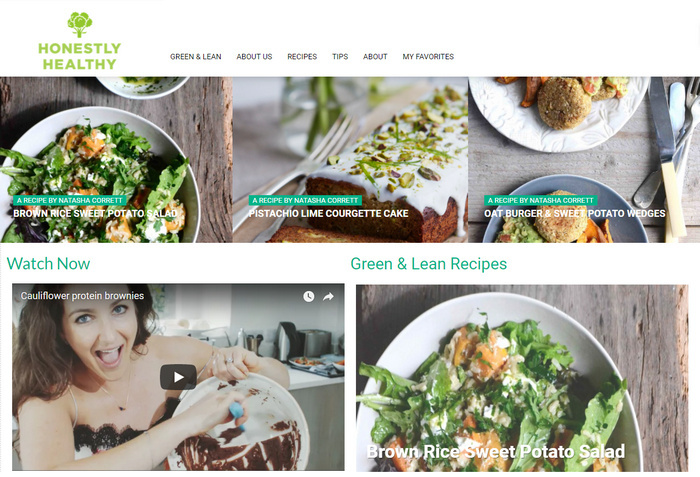 Erin has turned her passion for eating healthy food into her life’s work with this site and you can find all the valuable nutrition-rich foods and recipes here. Social Media: 81.1k Instagram followers, 7k Twitter followers, 48k pinterest followers & 41k Facebook likes. 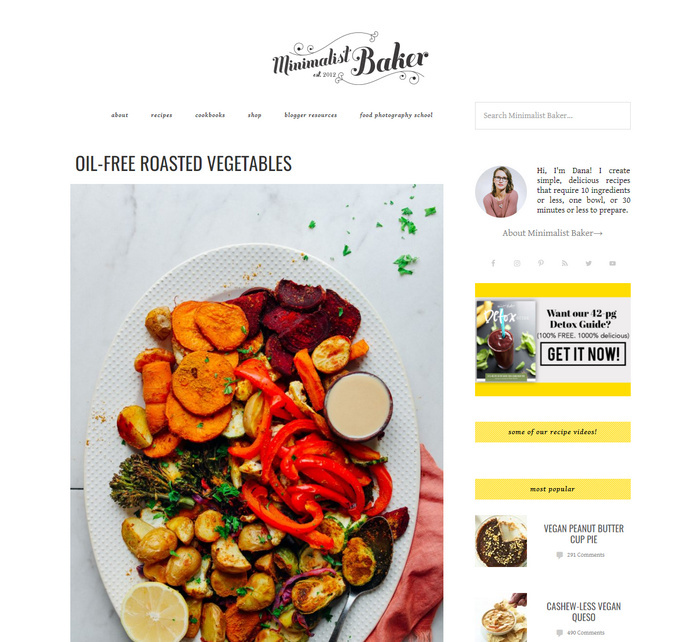 Dana made this site with the intention to educate her viewers about how to make tasty foods with or without using oils. She will give proper recipe description to for the mouthwatering foods which make us feel easy to read & understand. She has written two cookbooks and that is 31 meals Ebook & minimalist baker’s everyday cooking. Cook Books: 31 meals Ebook and minimalist bakers everyday cooking. This is an attractive recipe blog which is made by Angela for those who are looking for vegetarian or plant-based foods. 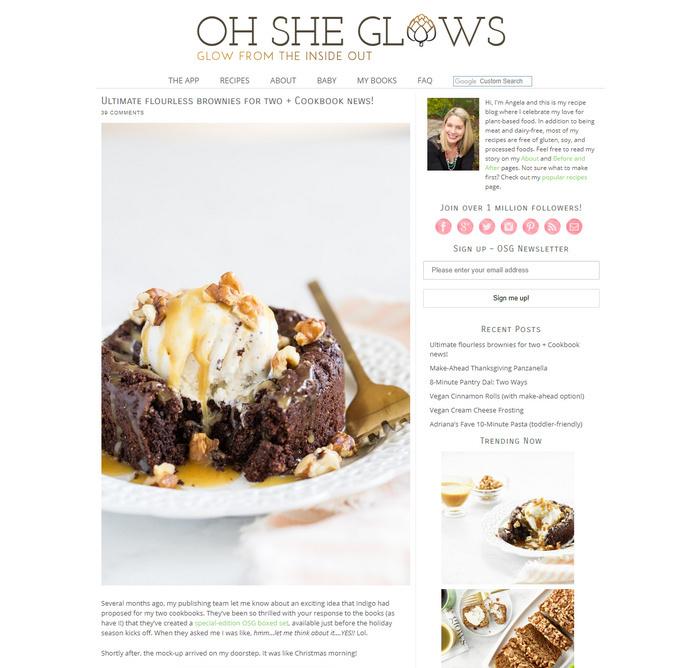 You can find an App on this blog to install to get daily updates and Angela has written a cookbook named Oh she glows every day. 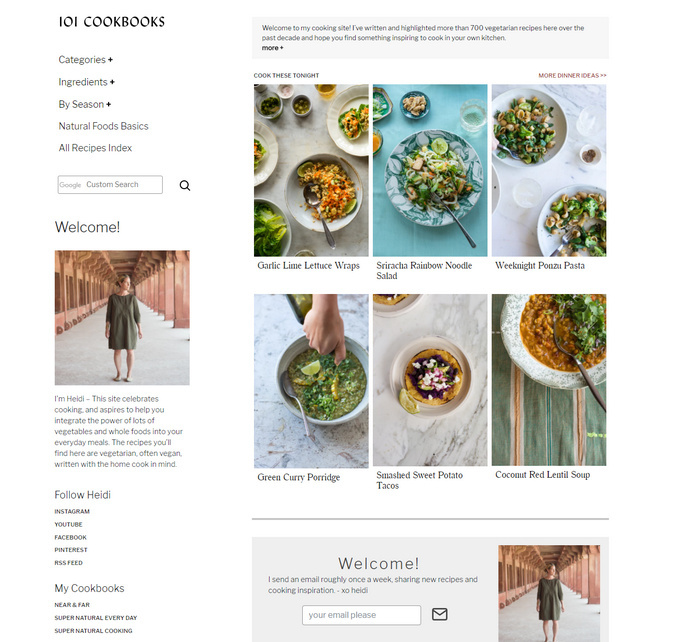 The blog comes with 1 million followers and you can find many attractive recipes here on this blog. 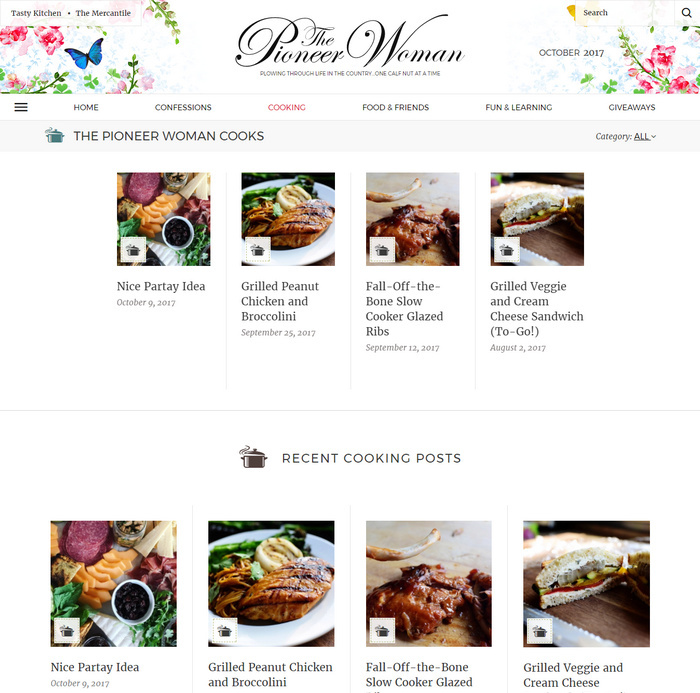 The Pioneer Woman Cooks is an awesome website especially for women who are interested to find both vegetarian & non-vegetarian tasty recipes. You can find all breakfast, lunch, and dinner foods & drinks recipes here with stunning eastern or western tastes and this website is an inspiration for all housewives. The above-listed blogs won’t disappoint you. Follow them for smart workout plans, science backed tips and healthy recipes. They will provide you with all the motivation you need.